Goose Island has renovated its old brewpub at 1800 N. Clybourn and turned it into a sleek, stylish Brewhouse. RANCH TRIANGLE — Goose Island's flagship brewery is once again open for business. 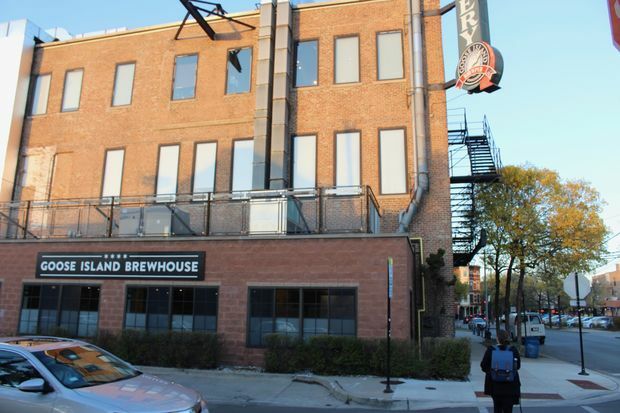 The Goose Island Brewhouse has formally reopened at 1800 N. Clybourn Ave. It's the site of Goose Island's original brewpub, when it was on the crest of the brewery-restaurant wave in Chicago in the '80s. Over the summer, it underwent an extensive renovation — paid for in part by Anheuser-Busch, which bought the brand in 2011 — and the space has been streamlined and opened up. Goose Island touted the reopening on its Twitter feed. The renovation includes an expanded brewery on site. The kitchen is now under the command of chef Marcus Rasmussen, who came over from Perennial Virant after it closed in Lincoln Park early this year.